Tool Box Tuesday: Spiralizing – Making Vegetables more fun! It’s no secret that veggies can be boring, especially for children. If your children are like I used to be, they look on anything green with suspicion and if it’s purple, well it must be from another planet. Purple can only be good if it’s in the form of clothes, namely a pretty party dress! 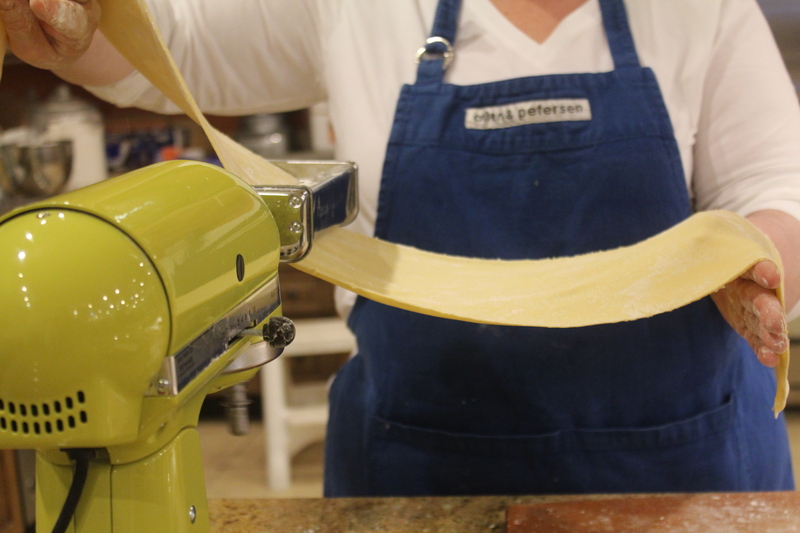 In our test kitchen this week we put the KitchenAid spiralizing attachment through its paces. Sweet potatoes were our veggie of choice and everyone voted for spiral fries. It helps if you choose a fairly long thin potato. Peel and cut off the ends. Attach your blade of choice. The KitchenAid offers 5: a fine and medium spiral blade, two slicing blades, and a peeler. We put the two spiral blades to the test. It was super simple to use, just attach the potato to the vegetable mount and start the motor. The potatoes made perfect spirals in seconds and it was fun! We cut the spirals into shorter lengths for ease of eating, misted with extra virgin oil and sprinkled with salt, pepper and the Summit Spice Ancho Chipotle Chili Blend. We prepared two sheets; one with parchment paper and the other with a Silpat silicone mat, and laid the fries in a single layer. Using the Jenn-Air True Convection Oven in our test kitchen for baking would give us the optimum conditions to crisp up the fries. True or European convection ovens are different than regular convection ovens in that they have a third heating element along with the fan which makes the temperatures more uniform in turn making dishes sear and caramelize better, making pastries lighter and flakier and the cooking time is reduced. We baked the fries at 425F for about 20 minutes. Both the thin spiral and the larger spirals were very successful. There was no noticeable difference between the sheets, so the parchment and Silpat both worked equally well. I’m now a spiralizing convert and can’t wait to try zucchini noodles with fresh Kodiak scallops and a white wine sauce! Microplane's Handheld Spiral Cutter with both a small and large barrel accommodates both long, slim and thick vegetables. Or, this Tabletop Spiral Vegetable Slicer suctions to the table and has three blade insert choices so you can make fine spirals for veggie pasta, large spirals for fries, and flat spirals for pies and chips! I was skeptical of the very idea of paper being a useful baking form because the heat transfer properties seemed to be so different (and I assumed inferior) to metal cake pans, but the idea of being able to give a baked good in a giftable container that doesn't have to be washed, returned or tracked down weeks later, was worth testing it out. I used a standard boxed carrot cake mix, adding raisins to half the batter but otherwise making no changes. The pan instructions specifically read that no pretreatment of the interior was needed to prevent sticking, and there did appear to be some sort of light coating inside the form. However, as can be seen in the photos, the release was not at all clean, so I recommend lightly spraying the interior; the cooking time is so greatly reduced that I don’t think that there is any risk of the spray degrading the paper. The cooking time was a big surprise; the box instructions recommended 45 minutes for a bundt pan, and yes, I did split the mix between the 2 forms, but the cook time was only 26 minutes! It was almost too much! I let them cool completely before beginning the release process, and in retrospect I should have tried releasing one while still warm. It could have been even worse, since it usually is with warm, soft products! 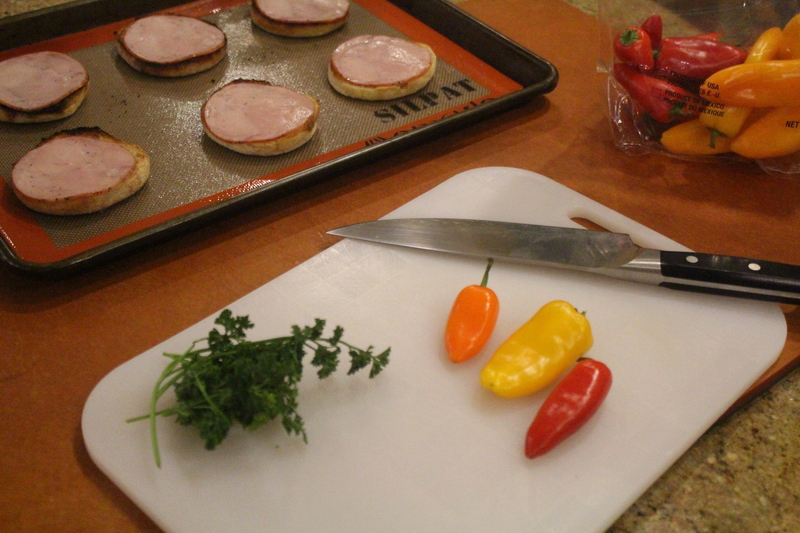 The final product was evenly baked, still moist and flavorful, and disappeared rather rapidly! I added a lemon flavored glaze to one, and a maple flavored glaze to the other, both of which enhanced the cake flavor nicely. I am now a believer that these paper pans are a very viable way to cook a cake, and the benefit of having no pan to wash is not to be ignored! 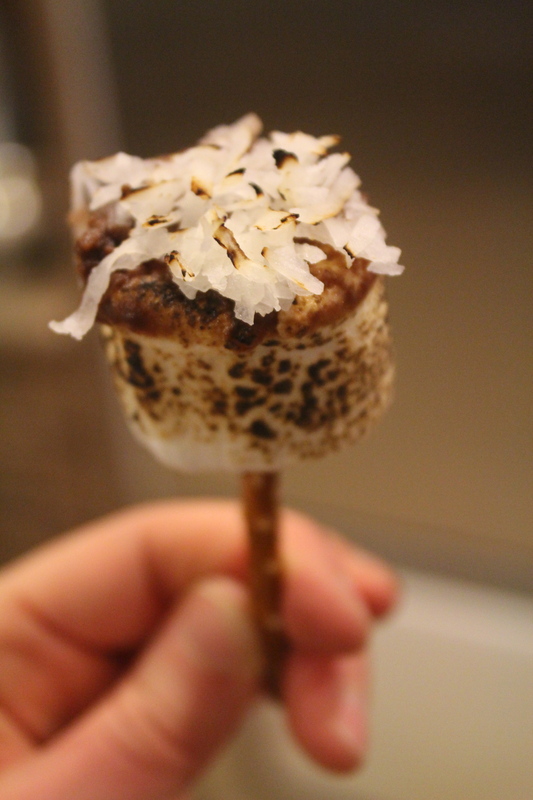 Few things pair with coconut as decadently as chocolate. When you combine this delicious duo into a cupcake, well, you’ve just about reached culinary perfection! Coconut has been in the spotlight a lot lately, mainly because of its continuous presence in vegan, dairy-free, or sugar-free recipes. Coconut oil, coconut milk, coconut cream, coconut sugar . . . the possibilities are endless! And because coconut goes well with so many other flavors, sweet or savory, we wind up using it a lot around here. For these cupcakes we decided to use our Chicago Metallic Commercial glazed crown muffin pan, which allows you to make 24 cupcakes (or muffins) at once! 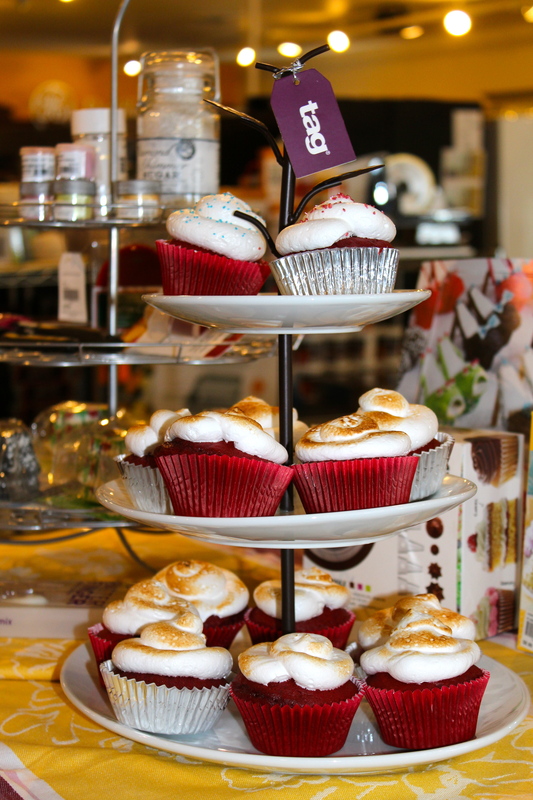 Additionally, it has a spectacular little lipped edge, which turns ordinary cupcakes into darling, puffy topped treats! The pan has a perfect coated finish, making clean up a breeze, especially when combined with Vegalene spray. Guys, this pan was awesome! I didn’t have to worry about batches, or cupcake papers. Because we used coconut cream for the batter, instead of coconut milk, it was thick and fudgy. I pretty much wanted to just forgo the baking, grab a spoon, and eat the stuff as pudding. As a side note, homemade cake batters are going to be thicker anyway than cake mix batter. Don’t add more liquid, just because it looks thick! In the case of these cupcakes, the fudgy batter made for moist, dense cupcakes—but not so dense that they didn’t rise perfectly. Yum! 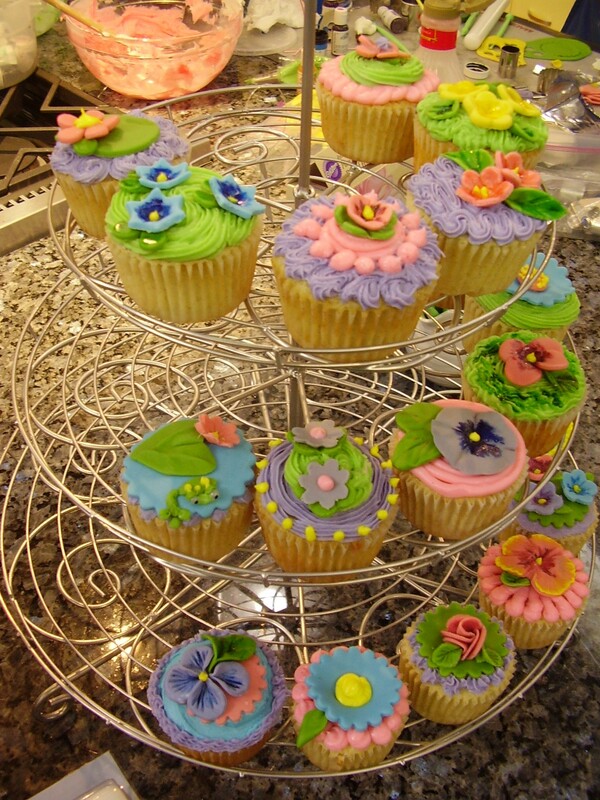 Besides the pan and the Vegalene, a few other tools made these cupcakes a breeze to whip up. The OXO medium size cookie scoop portioned the perfect amount of batter to fill the wells of the pan 2/3. 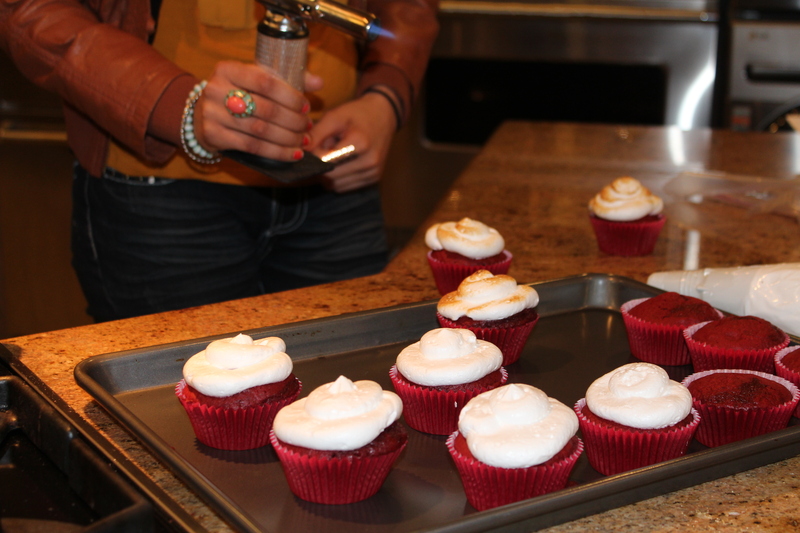 Once they were baked, we used the mini off-set spatula to get the cupcakes easily out of the pan. For our frosting, we decided to try making coconut whipped cream. Sounds perfect, right? Well, the only issue with whipped cream frosting is its notorious wiltiness. After doing a bit of research, we discovered the secret: gelatin! This trick is easy, and gives you whipped cream that will hold its shape for hours. Simply combine a teaspoon of gelatin with 5 teaspoons of water and let it sit. After it has congealed, microwave it for five seconds until it is liquid, but not hot. 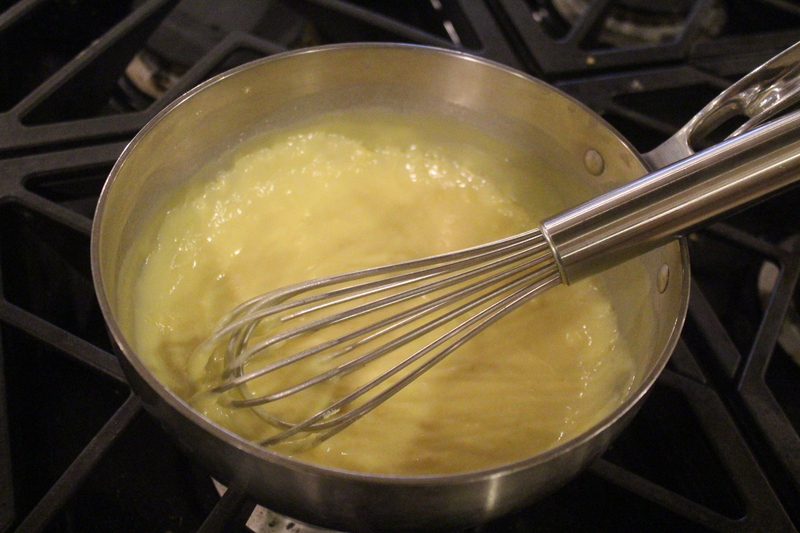 Once your cream has reached the soft peaks stage, slowly add the liquefied gelatin into the cream, while mixing. We used half canned coconut cream and half regular heavy whipping cream. But you could easily use full coconut cream with gelatin and receive the same results. Make sure to sweeten your cream with either powdered sugar or maple syrup. We added some of our favorite Mexican Vanilla for a flavor kick (and because I add this vanilla to pretty much everything. It’s that good). These cupcakes were a hit—beautiful and delicious. Try the recipe at home. It’s perfect for a party, or just a tasty treat for your family. Or just you. We don’t judge. In the bowl of a KitchenAid mixer fitted with the flat beater, combine the butter and sugar and beat at medium speed until fluffy. Mix in eggs, one at a time and extracts until incorporated. Combine flour and other dry ingredients and slowly add to butter mixture, alternating with coconut cream. Beat on low after each addition, stopping to scrape the sides of the bowl if needed. Using a portion scoop, fill all cups of Crown Pan pre-sprayed with Vegalene Spray to 2/3 full. Bake at 350 degrees F for 18 minutes or until toothpick comes out clean. Remove from pan, cool completely on a wire rack. Top cupcakes with stabilized coconut whipped cream and toppings of your choice including toasted coconut, chocolate sprinkles, large coconut flakes or coconut chocolate almonds. Toolbox Tuesday: One Marble Rolling Pin & One Open Springtime Window! As far as pie making goes, I still consider myself in the “novice” stage. However, I have acquired a few tricks, of which I’d love to share with you now, that make me quite confident I’ll be moving up to the “skilled” pie maker level after a few more rounds of trial and error while tampering with recipes. For any beginners out there interested in making pies, let me tell you the most helpful factor I’ve learned in making a successful crust – cold. Unlike other baking norms, like say for cookies where room temperature butter is important, keep your butter cold. Put your bag of flour in the freezer for a bit before beginning. 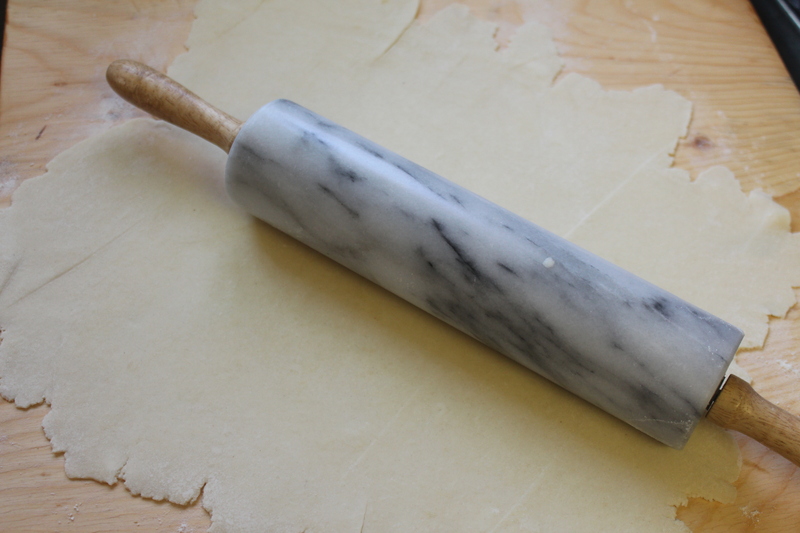 And, you can even opt for a nice heavy marble rolling pin that will hold its chill while you roll out the dough. 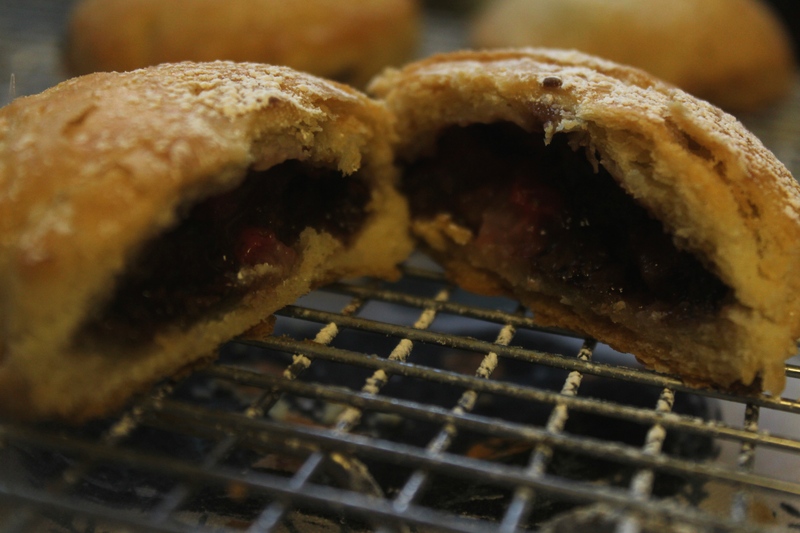 When working with pie dough, it gets quite sticky as it warms, and the more you work with it, the warmer it gets. Of course you could chill your rolling pin in the fridge or freezer, but mine at home sits on my kitchen windowsill. On one of those very first sunshiny, brisk spring mornings of the season, two things happened that set me up for absolute pie crust success. One, I was finally able to open the kitchen window for fresh air. 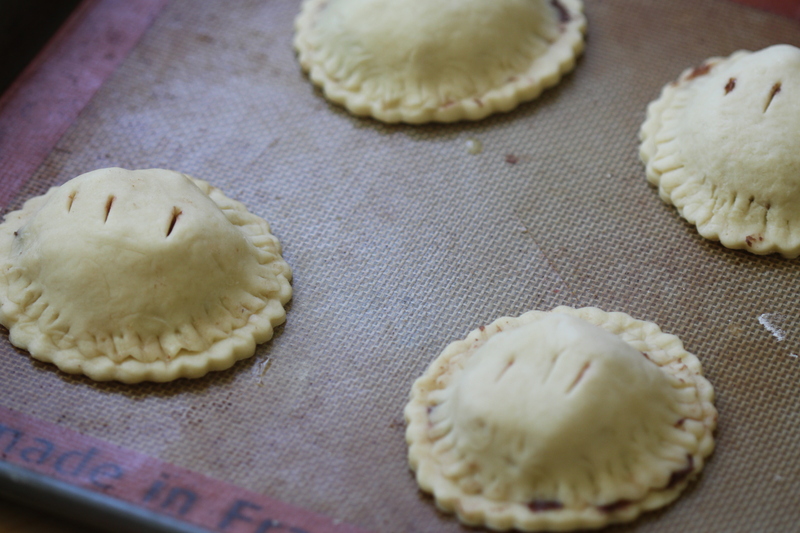 Two, a recipe for hand pies scrolled across my Facebook news feed (thank you justataste.com!). With a large board set over my sink for plenty of rolling space, the cool spring air blowing directly on my work space not only kept my rolling pin cold, but my dough as I worked with it as well! It became incredibly easy to take my sweet time as I rolled, cut, filled, and prepared each and every little handful of personal pie bliss! 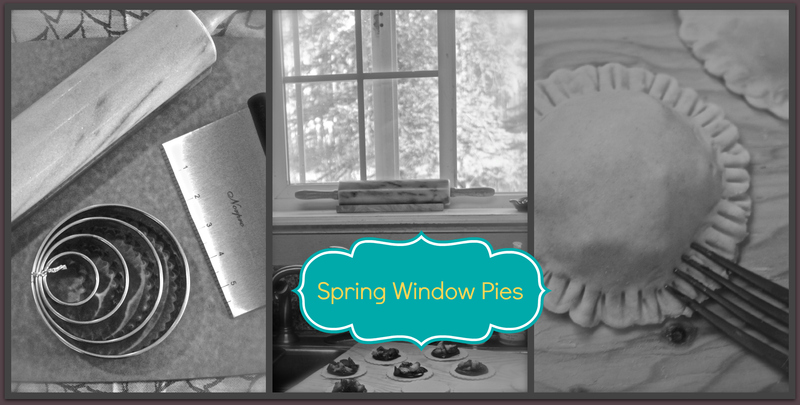 I urge you to try my kitchen window technique before summer arrives. 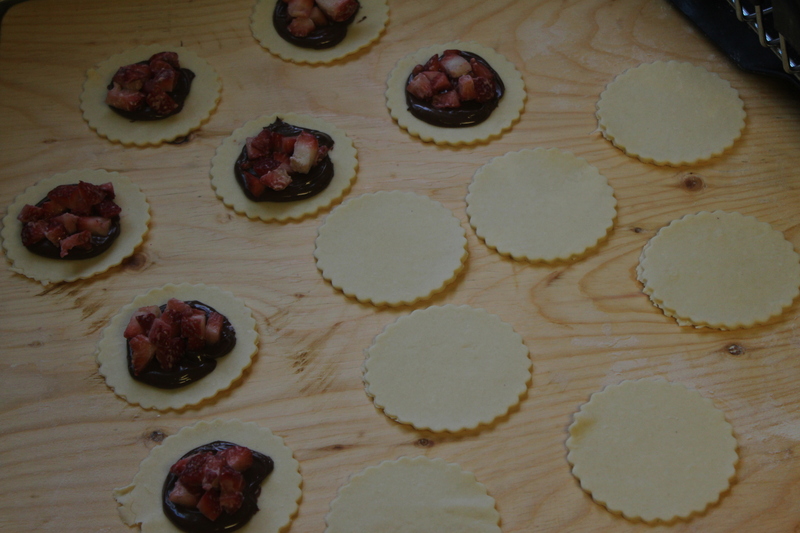 With a marble rolling pin in hand, check out the Strawberry Nutella Hand Pie recipe from justataste.com below. Though any piecrust, whether it be for a whole pie or hand pies, would be great in a cool room. You may notice their recipe is topped with crystal sanding sugar, which I didn’t have but substituted powdered sugar instead. 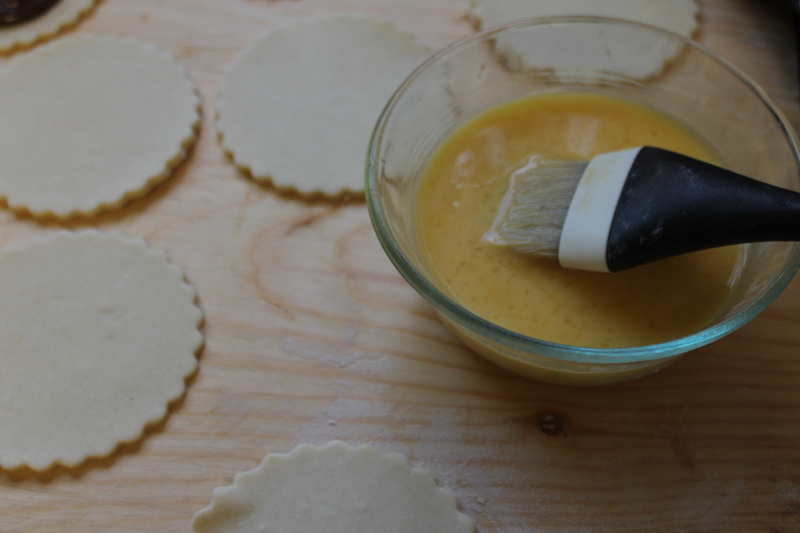 I might point out that I also couldn’t have had such an easy time making my hand pies if it weren’t for my Norpro board scraper, Silpat mat, and round fluted cutters! Knead the dough a few times until it comes together, adding more flour, 1 teaspoon at a time, if the dough is too sticky to handle. Roll the dough into an 8x10-inch rectangle and dust both sides with flour before folding it into thirds as if you were folding a letter. 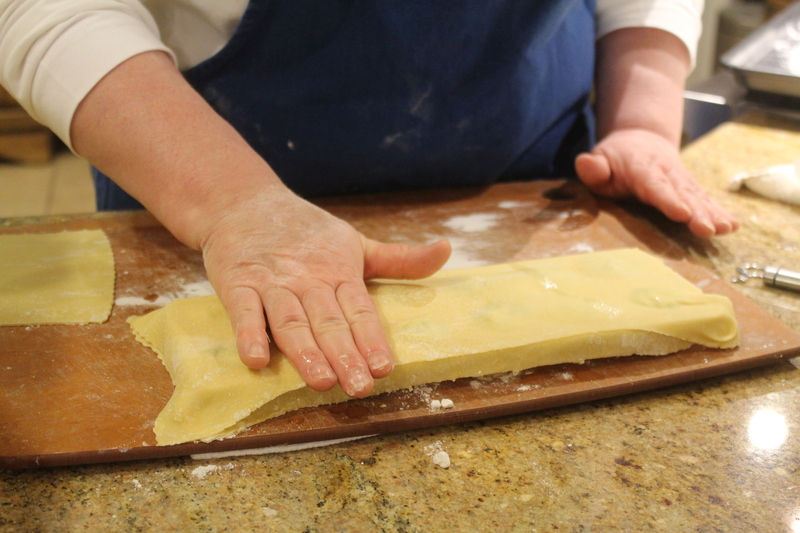 Rotate the dough 90º and roll it out again into an 8x10-inch rectangle. Fold the dough again into thirds then wrap it securely in plastic wrap and refrigerate it for at least 30 minutes while you make the filling. 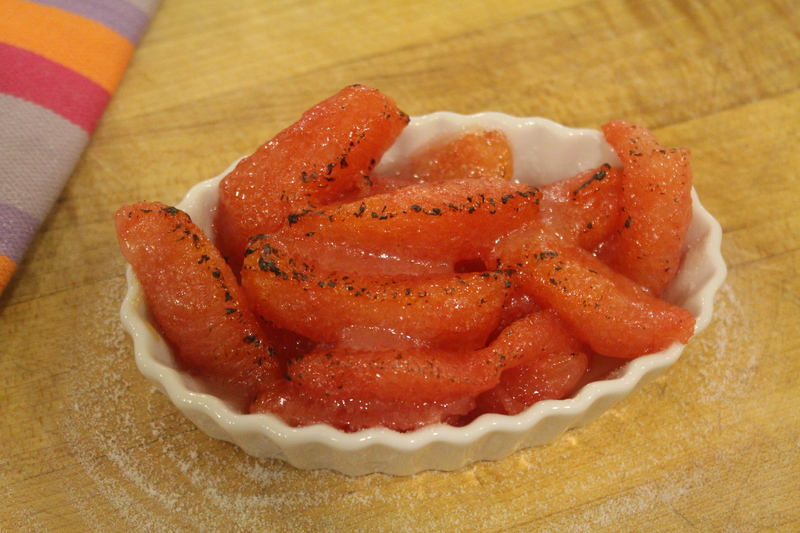 In a small bowl, combine the diced strawberries with the flour, tossing to combine. Set aside. 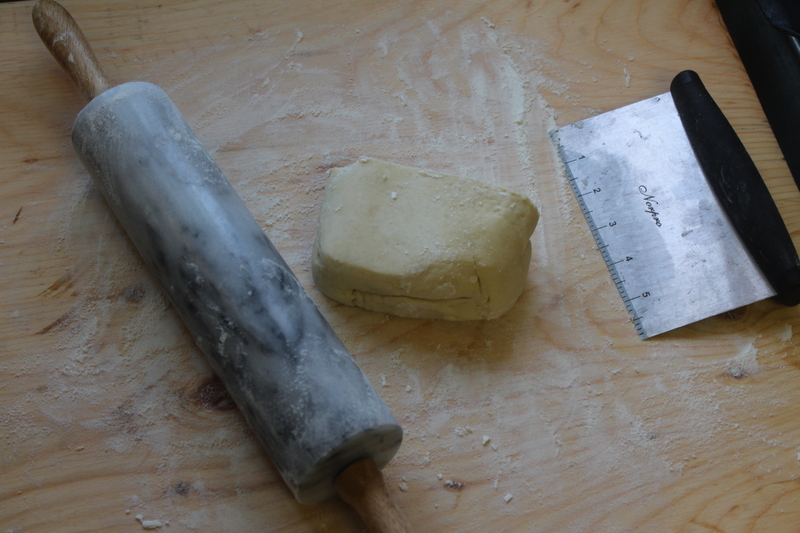 Remove the dough from the refrigerator and unfold it onto a well-floured surface, rolling it out to a 14x14-inch square. 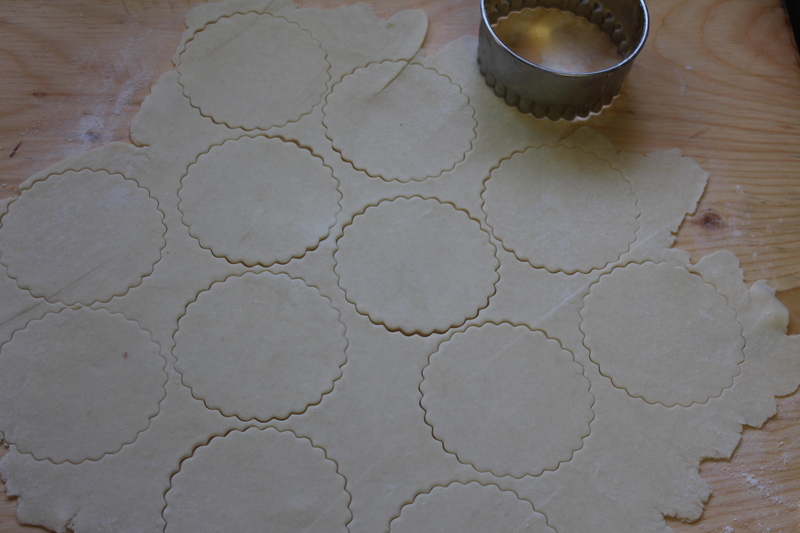 Place six of the dough circles on a Silpat or parchment paper-lined cookie sheet. Spread a portion of the Nutella in the centers of half of the dough circles leaving a 1/4-inch border around the edges. Spoon a small portion of the strawberries atop the Nutella. 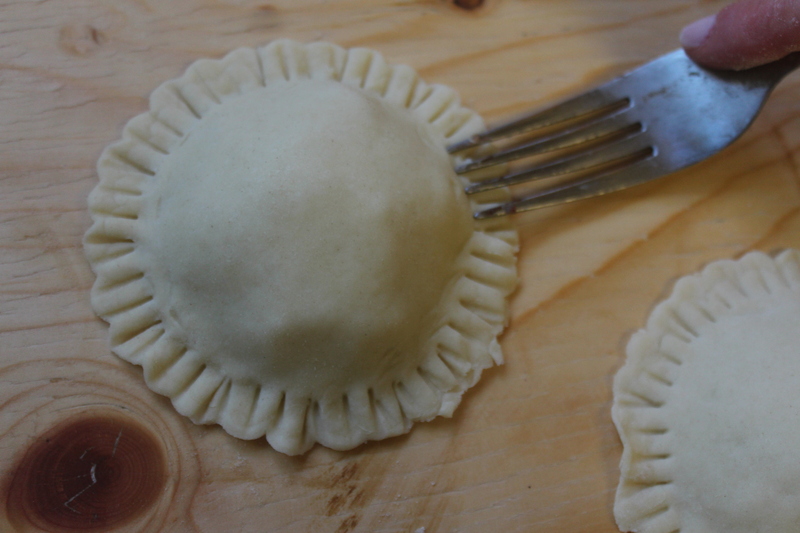 Place a second dough circle atop each filled circle then use a fork to crimp the edges together, sealing each pie. Whisk together the egg with the water to make an egg wash. Brush each pie with the egg wash, and using a sharp knife, cut two or three vents on the top of each pie. 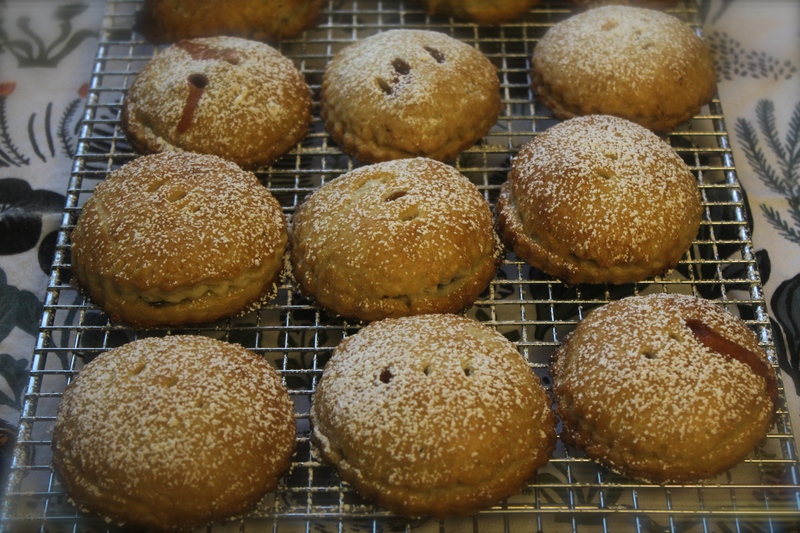 Sprinkle the pies with crystal sanding sugar (optional). Bake the pies for about 15 minutes, or until they're golden brown. Remove the pies from the oven and allow them to rest for 10 minutes before serving. Repeat the filling and baking process with the remaining dough circles. 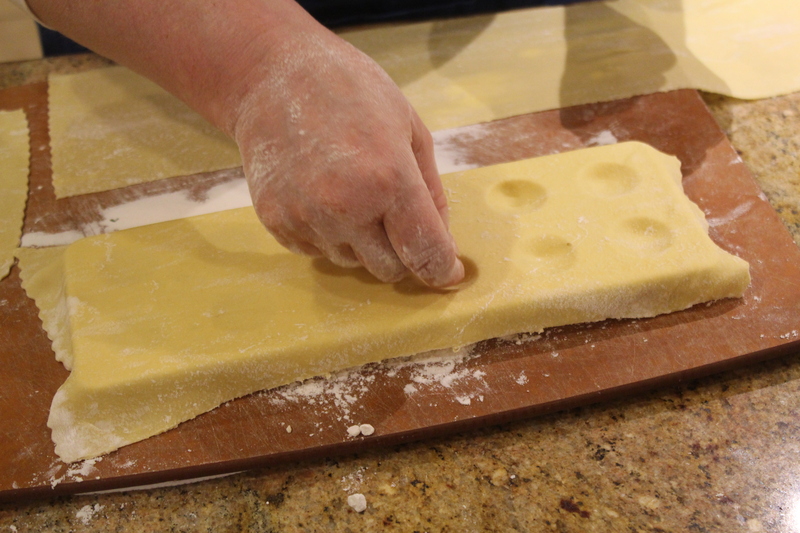 Making pasta is a really fun activity that everyone in the family can participate in, particularly making raviolis! 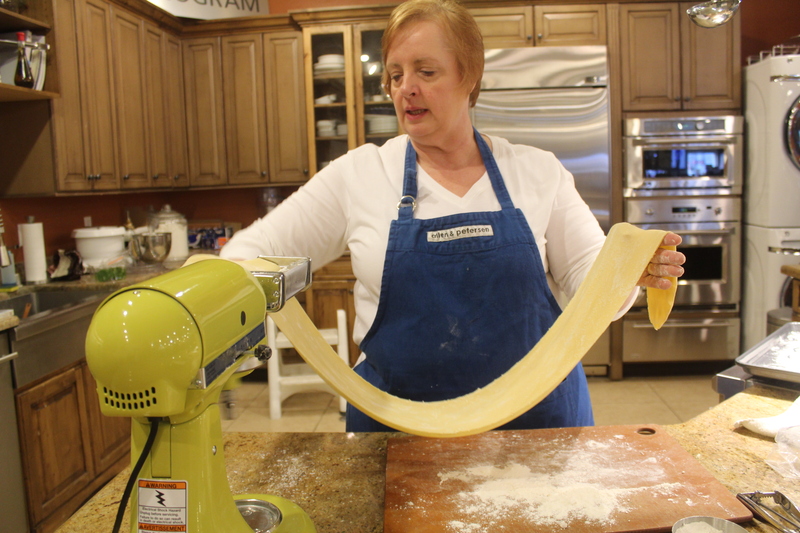 You can make pasta dough itself on your countertop or using a kitchen aid mixer. With the countertop method, you start with a flour well and break the eggs into the well, using a fork to gently mix the eggs into the flour. It can get a little messy but it is well worth any mess that is made. Once the pasta dough is made it needs to rest for a while. 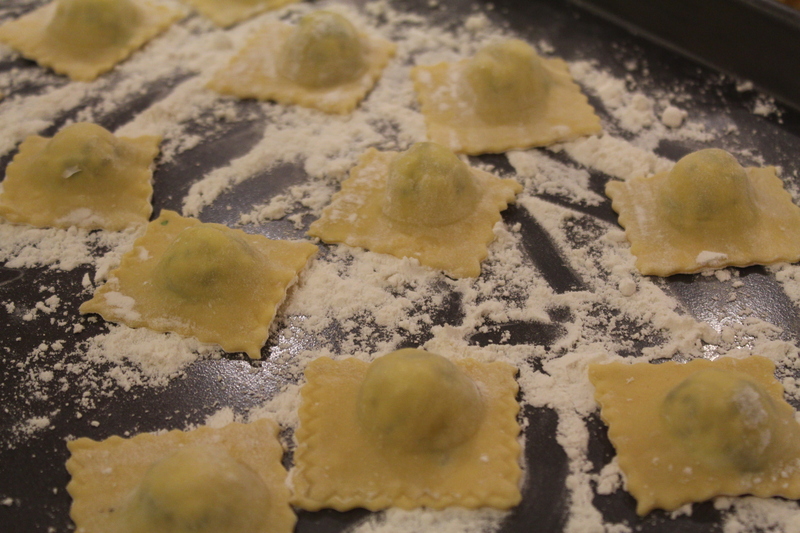 This is the perfect time to start to make the sauce or the filling for your ravioli. 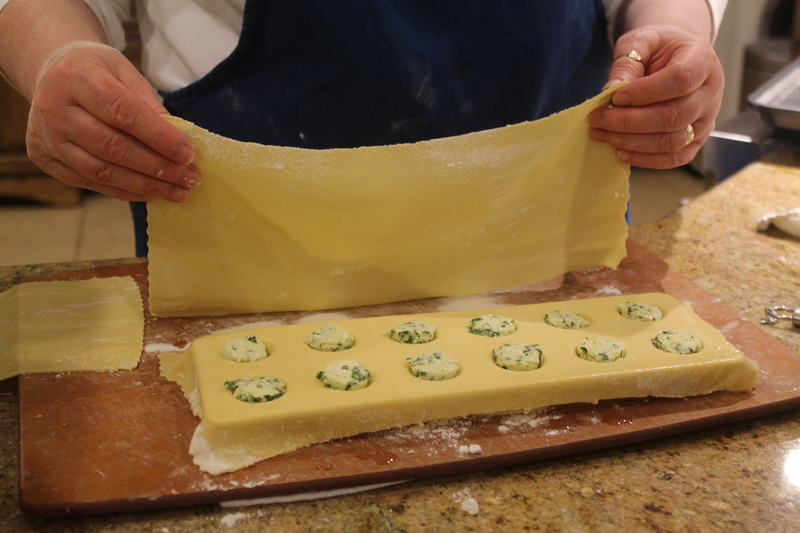 We like to make a combination cheese and spinach filling for our ravioli and serve it with a homemade marinara sauce. We also make a cream and garlic sauce for homemade spaghetti. 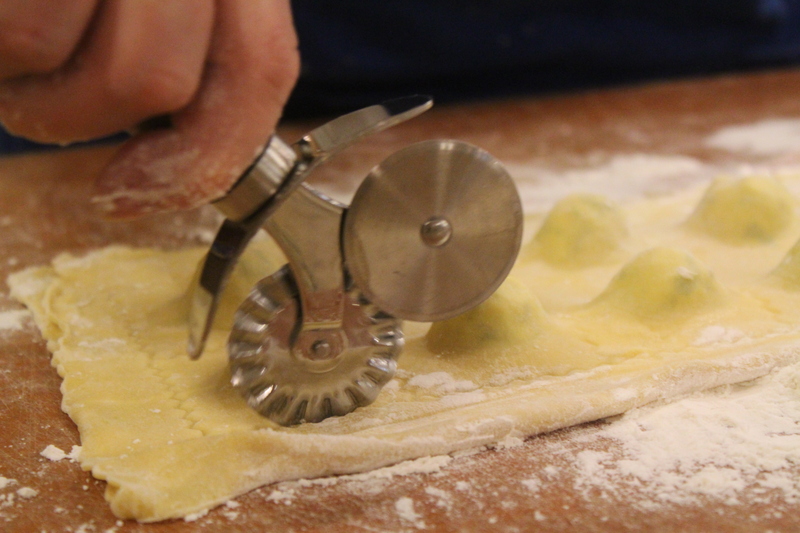 Once the dough is ready, you can begin to roll it through a pasta roller. 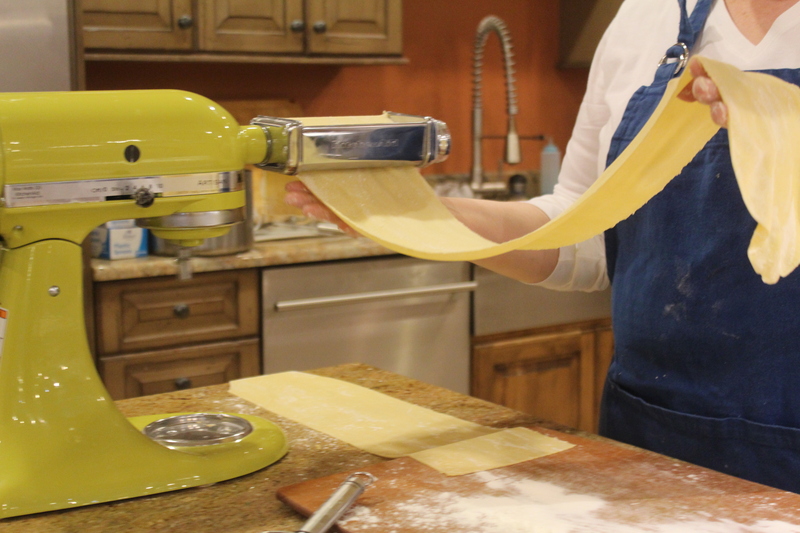 A traditional roller clamps to your countertop and uses a hand crank to move the dough through rollers that can be moved progressively closer again and again until the sheet reaches your desired thickness. Electric hand mixer attachments can also be used, freeing up your second hand for catching the pasta sheet at the other end! There are so many ways to use the pasta: spaghetti, linguine, ravioli, lasagna- it can be an great way to spend time together and create a meal. It may not always look just the way you planned (particularly if little hands are helping), but it will be delicious and everyone will know they helped. 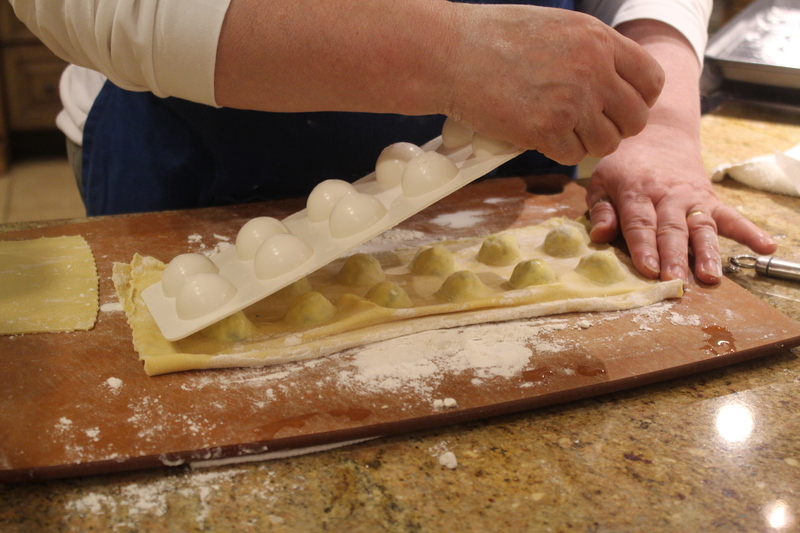 The ravioli maker with press is the best tool I have found to use in our kitchen for the hands on ravioli making. You just lay the pasta on the tray and press gently to make little indents in the pasta. 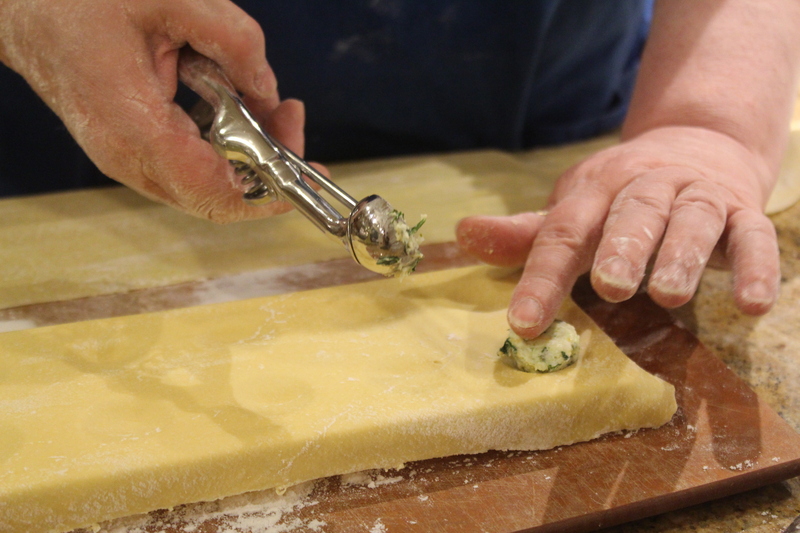 Then, using a small cookie scoop, scoop the cheese mixture into the pasta indents and gently push into place. With a small bowl of water handy, dip your fingertips into the water and gently dab the pasta in between each pocket of filling. 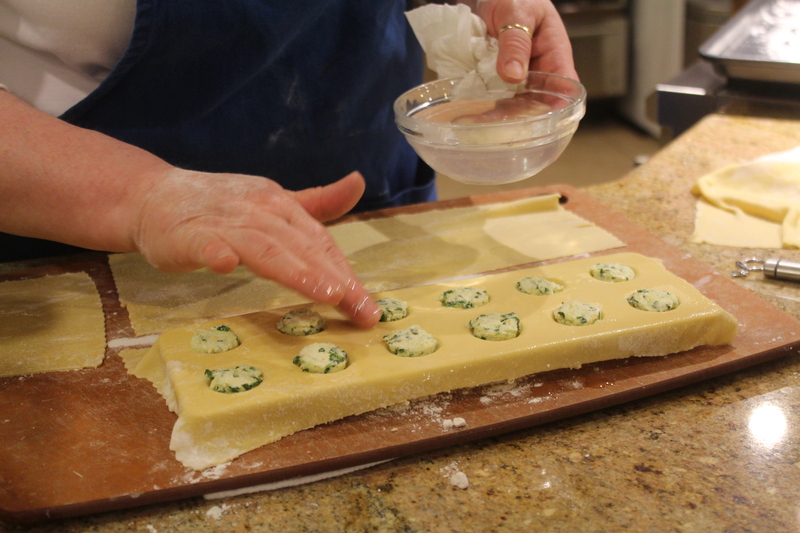 and cut into ravioli portions. 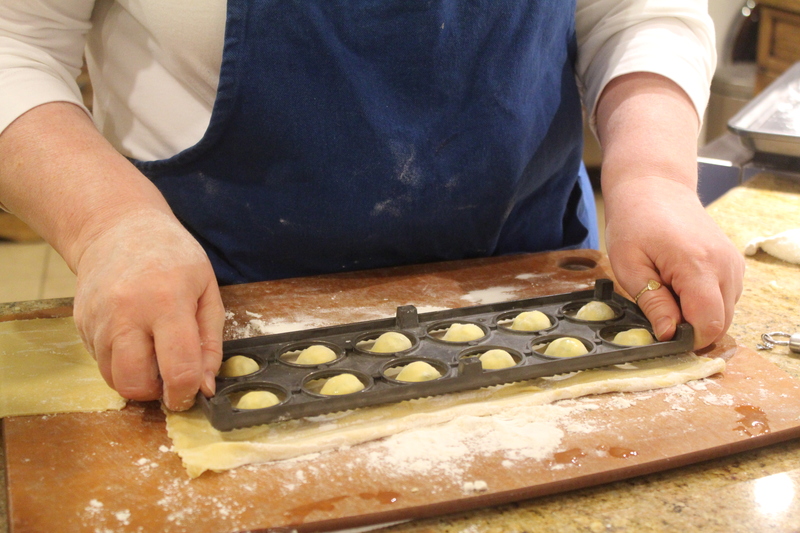 Your delicious little pasta pillows are ready to be cooked and served with your favorite sauce! Induction. People think it’s a new thing but it’s not. I grew up with an induction cooktop in my childhood home. The cooktop is over 30 years old now and 6 years ago when I built my own house I was sure to include an induction cooktop as well. Induction is a way of heating your pan. It has a generator that excites the molecules in your pan which causes heat and allows you to have greater control over your heat vs. a standard electric cooking surface (one with coils or a glass and coil top) yet has the control of a gas cooktop but allows for safer cooking. For example, I don’t have to worry about accidentally turning on my cooktop because it will not turn on unless a pan made with ferrous material is making contact with it. I’m not writing about induction though. 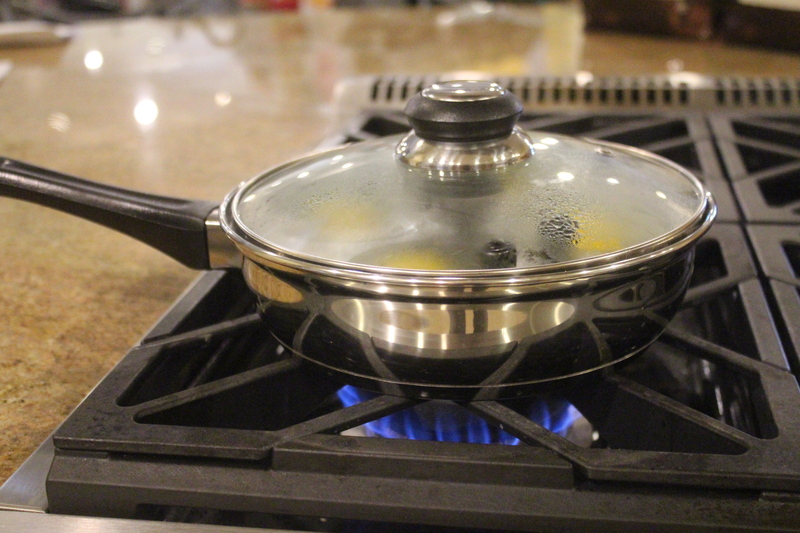 I want to tell you about a new pan I found that works on my cooktop! I always get exited when I can find a new ‘gimmicky’ pan that works with my cooktop. With induction, I have to carry a magnet with me to make sure pans will work on my cooking surface. That’s the key with induction, it must be magnetic on the bottom. As a result, there are some pans we sell that I can’t purchase; the egg waffle pan, the Abelskiver pan, the classic Whirly Pop, all the fun pans! 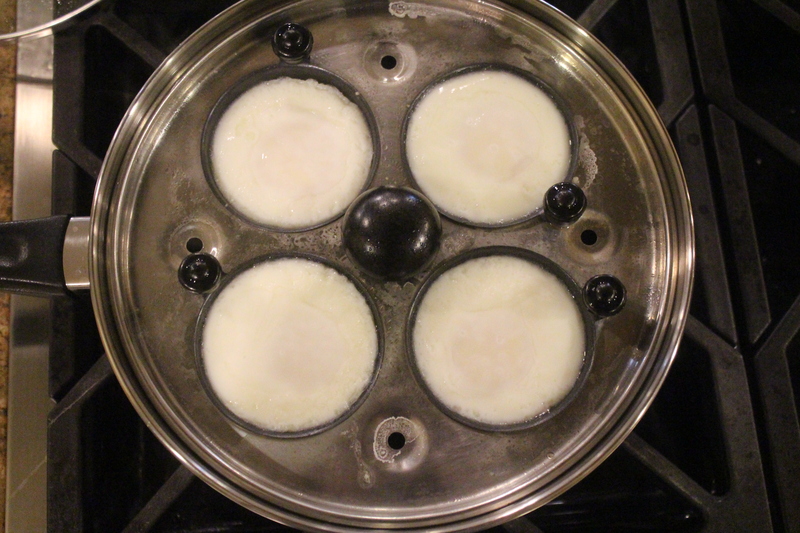 One can imagine my excitement when I came across the egg poacher pan made by Norpro. My co-workers can attest the excitement I had when I made this discovery. I quickly purchased one and made Eggs Benedict that same night. 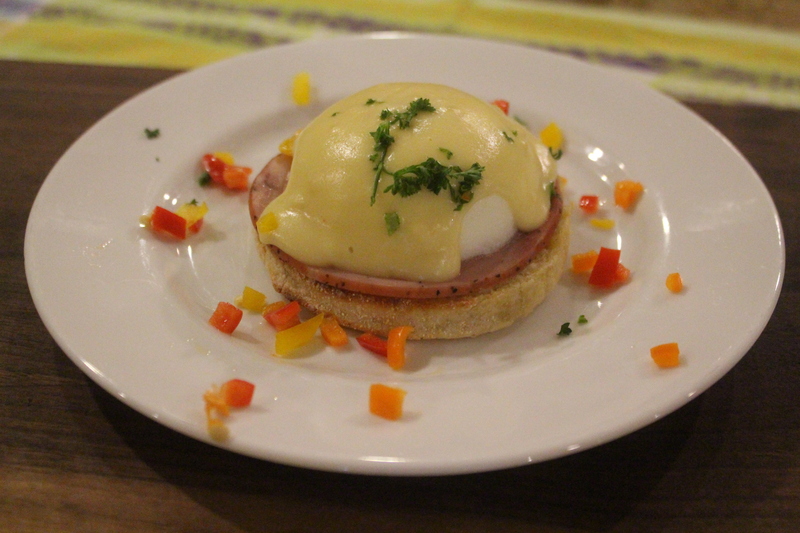 My kids LOVE Eggs Benedict. 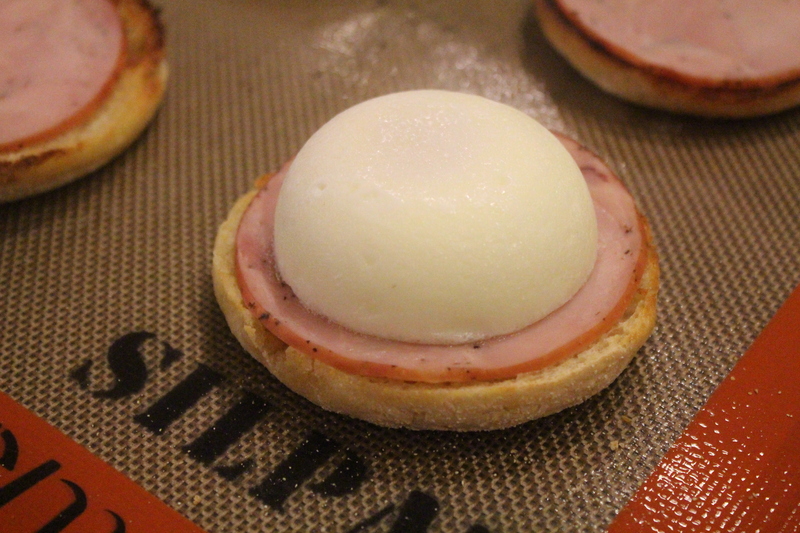 I am not a fan of making them because I can never get the poached egg right. My eggs are too runny, too well done, fall apart, and most certainly never picture perfect. I tried all the tricks I could find on Google and watched several YouTube videos professing the ‘perfect poached egg’ or ‘easy poached egg’. No amount of swirling water, vinegar or ‘cracking an egg into a smaller bowl first’ could help me with my demise. I gave up. In my frustration I resorted to making fried eggs and covering them up with lots of Hollandaise sauce. 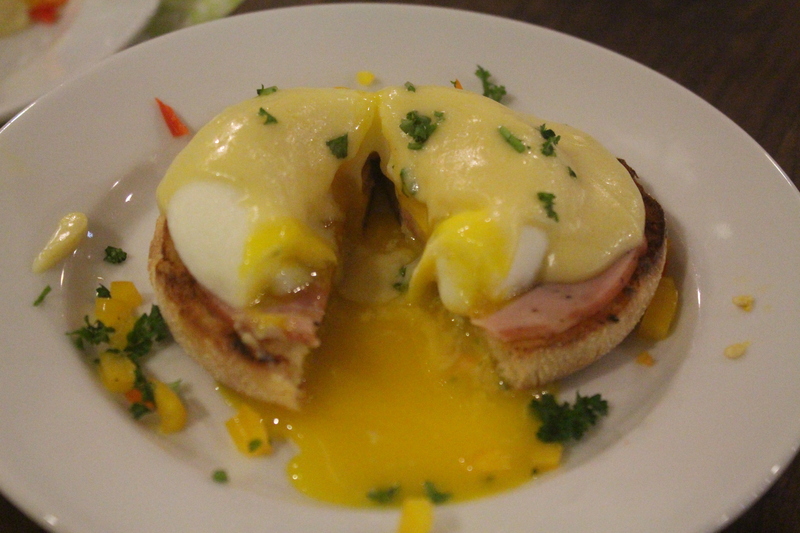 Just this morning I made Eggs Benedict for my kids before sending them off to school. In less than twenty minutes I had 4 beautiful, picture worthy Eggs Benedict ready to be gobbled up with the help of my new pan. 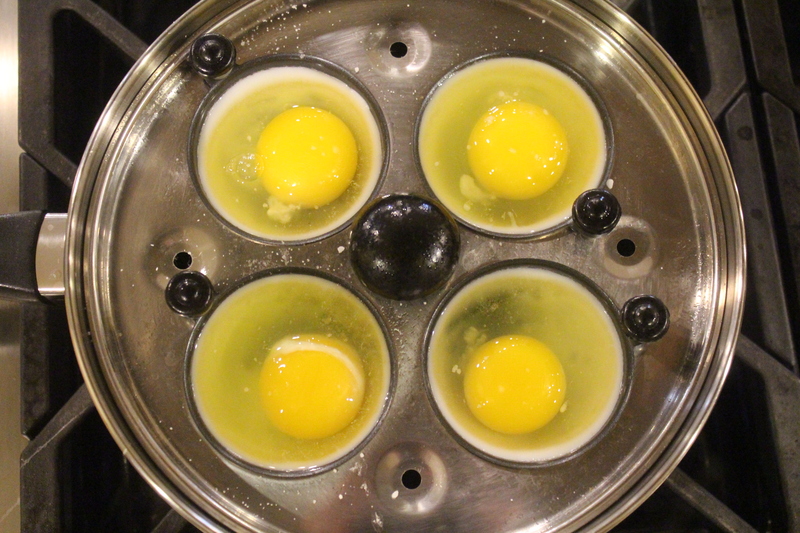 The Norpro egg poacher is incredibly easy to use. I added some water to the pan and got to a boil. While the water was heating up my kids sprayed the non-stick inserts with a little cooking spray and put them into the pan. 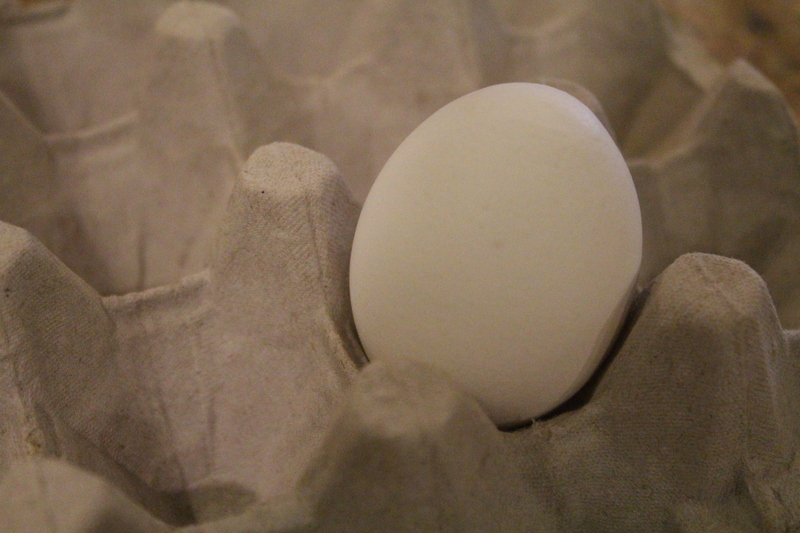 They then each cracked an egg into their insert and we covered it with the glass lid and watched magic happen. After a few minutes we lifted the lid and shook the pan. We decided that the ‘jiggle’ was just right and the eggs were done. 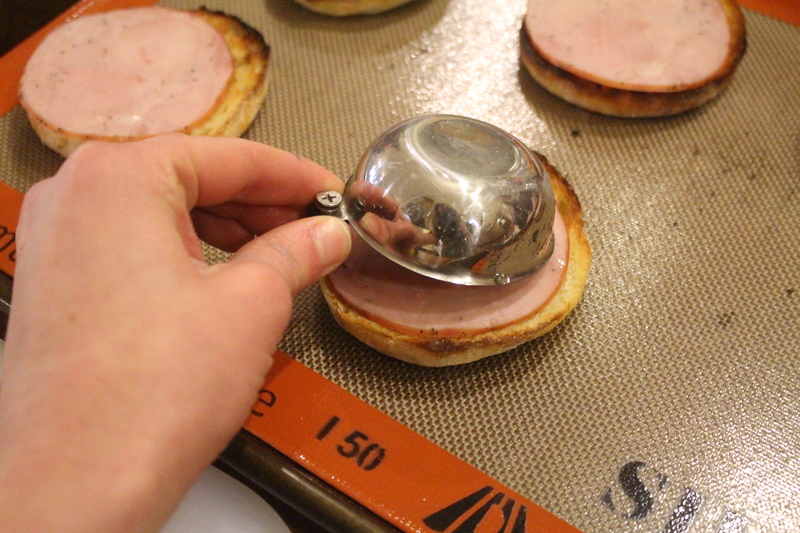 We placed them on our English muffin topped with Canadian bacon and smothered them in Hollandaise sauce. The result, the perfect poached egg! I love my new ‘gimmicky’ pan because it is induction friendly for my cooktop and can also double as a saucepan. My kids love it too! Time is something we all value. Whether you have all the time in the world, or none at all, the Breville Fast Slow Cooker makes the most of what you have available. I personally have purchased this fantastic item, and like all the Breville products, I have yet to be disappointed. The fast slow cooker has a large capacity of 6 quarts. This is a great feature for large families, dinner parties and even meal prepping. The 6qt cooking bowl is also non-stick and removable! This makes it super easy for serving and clean up. 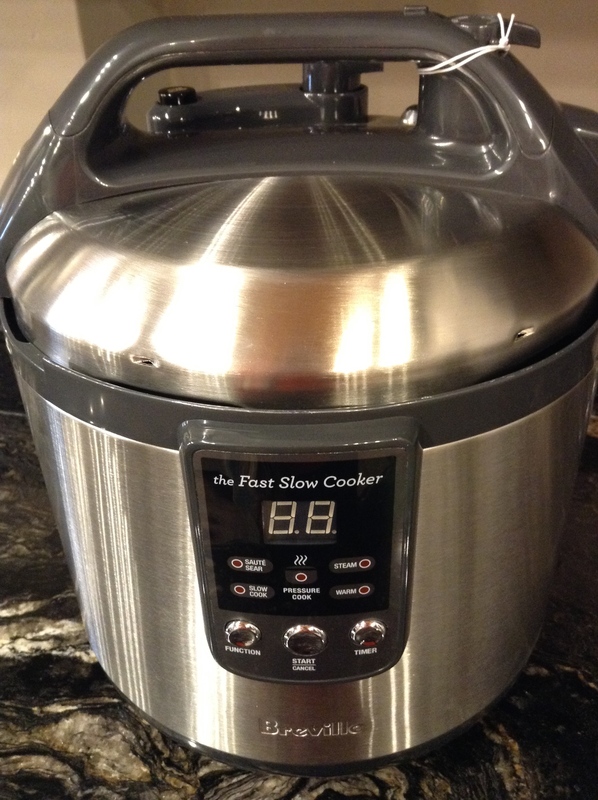 Some other great features are that it has an easy to read LCD display, pressure cook settings Low Medium and High. Breville also includes a couple heat resistant tools along with a steaming basket and trivet. My personal favorite of the cooking settings would have to be Slow Cook (6 or 8hrs) and Pressure Cook (up to 99 minutes). Both of these make putting together dinner an easy task. One of the greatest feelings is coming home and having dinner already done, with the fast slow cooker I’m able to put chicken (or a roast) into the cooking bowl, throw in some hard vegetables, season and then set the Slow Cook setting for 6hrs. After the time is up the automatic “Warm” setting comes on to maintain the heat of the dish without over cooking. If you are using frozen meats I recommend choosing the 8hr setting. 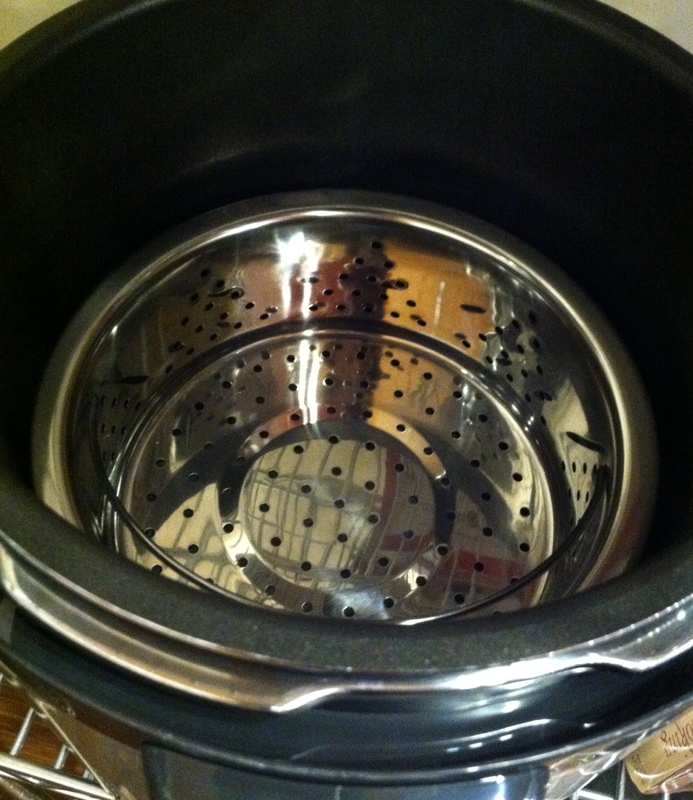 The Pressure Cooking feature is amazing for when you’re short on time and need to pull something together in a rush. I put 4 chicken breasts into the cooking bowl, about 1 cup of water, selected 25mins on high pressure and sure enough, after 25 minutes I had perfectly cooked chicken ready, Remove the chicken and toss in some veggies into the steam basket and trivet. Put it on the Pressure Steam setting and in a few minutes they’re ready to accompany the chicken. Both of these settings eliminate the excuses of not having enough time to make a healthy dinner. With features like Saute/Sear, Steam, Slow Cook, Pressure Cook or Keep Warm, plus a timed cook option- the Fast Slow Cooker combine the functions of multiple electrics to cook your meals just the way you want, in the time you have! 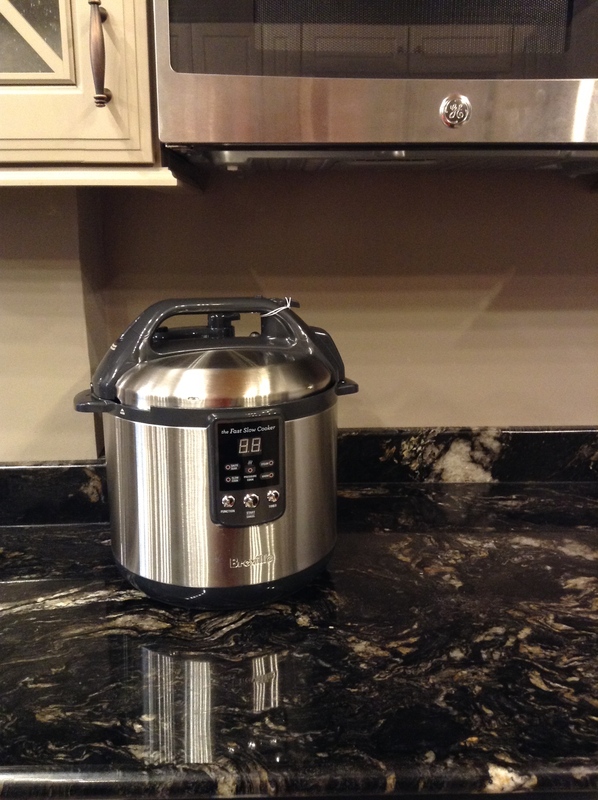 Combined with all the other great features, Breville’s Fast Slow Cooker really does it all. I personally have no complaints and totally love mine. 5 out of 5 stars for sure! Definitely an amazing asset to your kitchen. Toolbox Tuesday: Turn up the Heat! Playing with your food – it’s something we’re all taught not to do. But when cooking day after day starts feeling like no more than another mundane chore, investing in new kitchen tools can add a whole new level to cooking that makes “playing with your food” a good thing that loved ones will love sampling from! So what is one of my all time favorite kitchen tools you ask? The Messermeister Cheflamme Torch of course! I know what you’re thinking; you were also taught that playing with fire is bad. I’m sorry, but bending the rule and throwing a little flame into your kitchen adventures is a great way to keep cooking exciting. The first dish that inevitably comes to mind is crème brulee, of which our number one source for recipes comes from a book by Mastrad that unleashes numerous possibilities. 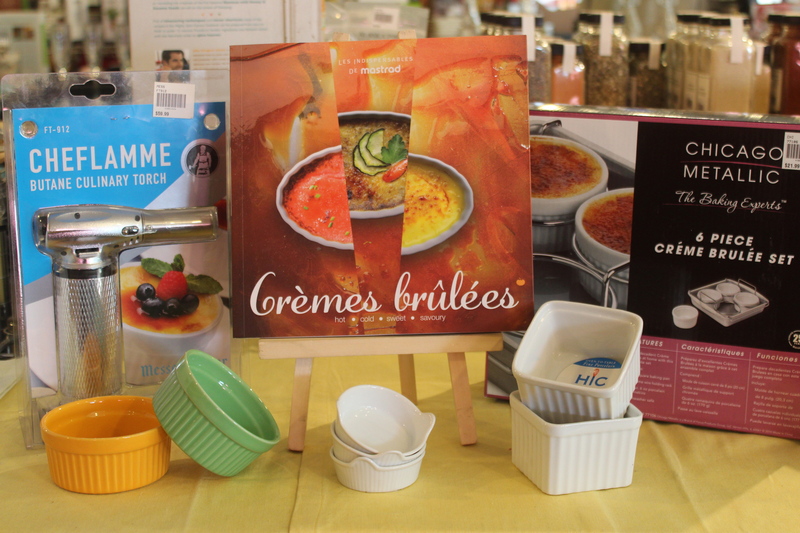 Titled Crèmes Brulees: Hot, Cold, Sweet, and Savory, there is something for every palate in the book that will nicely accompany the trusty torch in your future shopping basket. Candied Orange and Lemon sounds like a tempting flavor combination (my favorite! ), and Smoky Bacon Crème Brulee cannot possibly go wrong. But don’t feel limited to only a single use for your fun new toy. 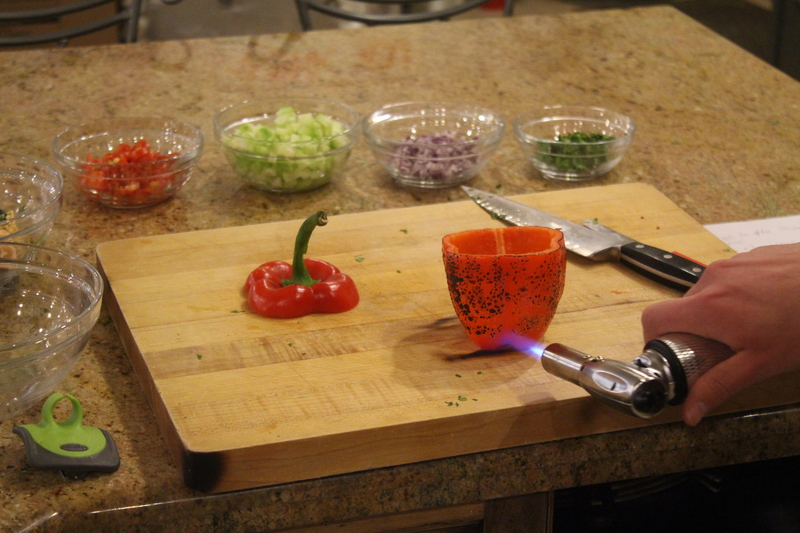 Here are some more quick and easy ways to play with fire and food! Fresh fruit is wonderful just as it is, but with a quick coating of sugar passed over with your torch, you’ll create a wonderful candied crunch. 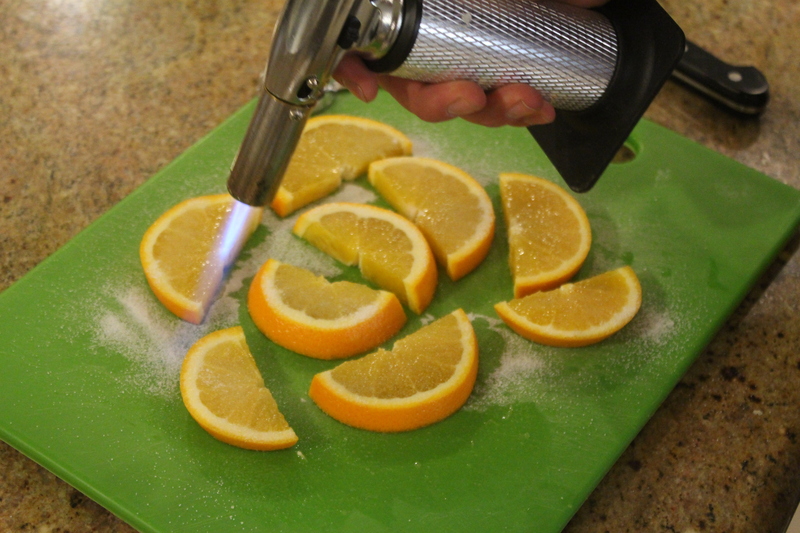 Oranges, grapefruit, and pears were my test subjects. They took a bit more sugar than expected to get the desired caramelized effect. 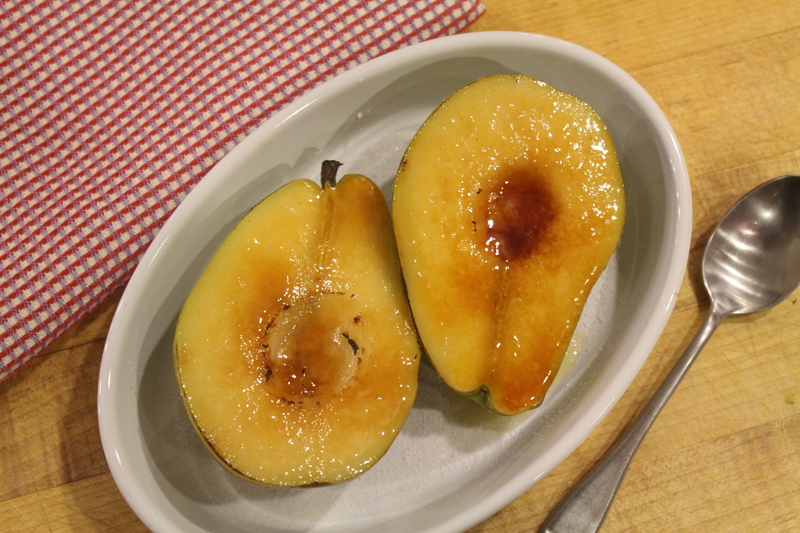 As the sugar heats and liquefies, it can tend to mix with the fruit juices and run right off, which made my pears the easiest to work with. 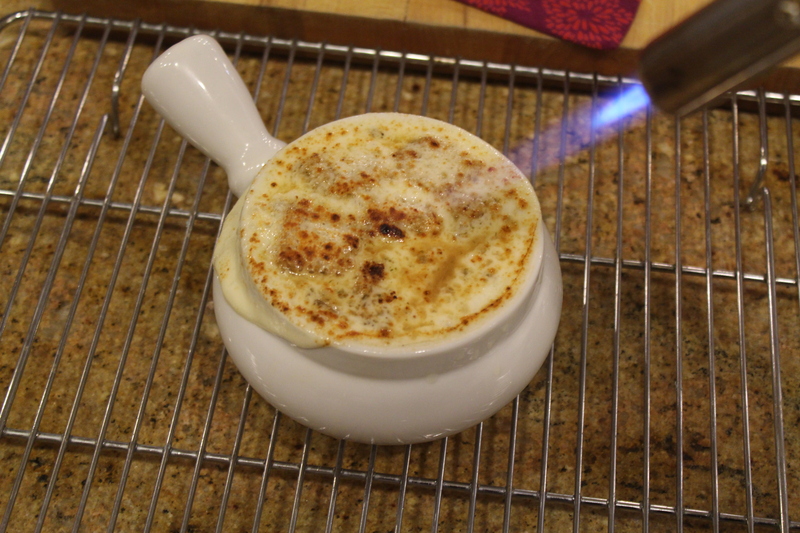 Chef Lucy suggests kicking them up a notch by poaching them before adding the brulee topping. 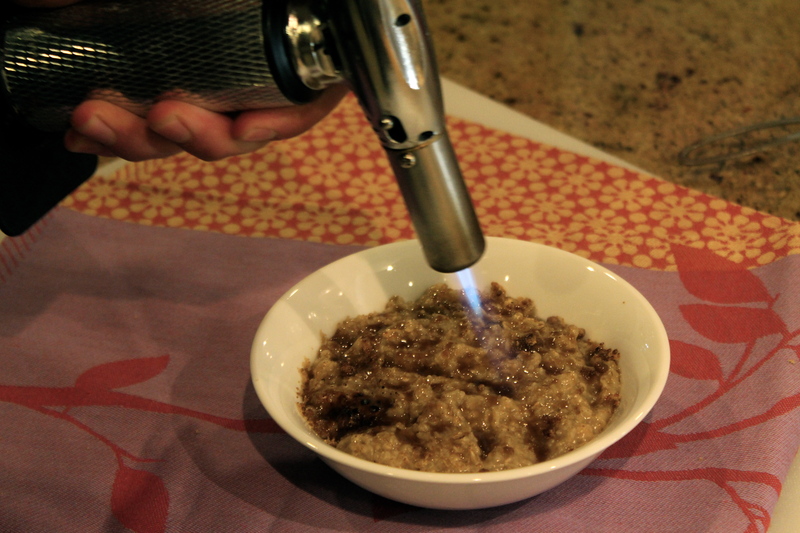 Oatmeal is another fun excuse to bring out the torch. 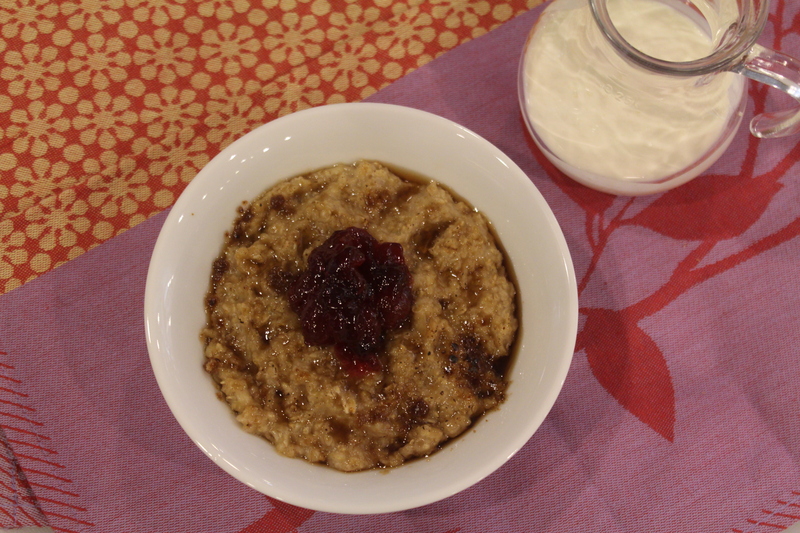 Try topping your next oatmeal breakfast with brown sugar, and melting it with a low flame. Jazz it up even more with your favorite fruits or preserves. Cherry Amaretto from the Petersen Family Pantry is a winner here in the Wasilla store. Next add a bit of milk or cream, and your simple breakfast has - just like that - edged towards gourmet! The torch isn’t just for sweets. 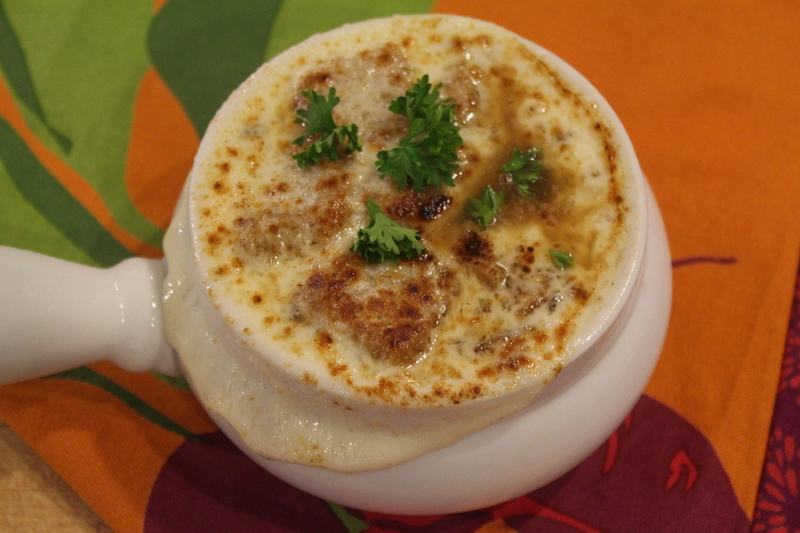 It turned out great for roasting provolone cheese over French onion soup and croutons. It’s also great for roasting red bell peppers. I used them two different ways. First was for a homemade pizza that had more than one element made with extra love: fresh dough prepared for the crust, a special white wine cream sauce, two proteins, and a jar of artichokes hearts… the red bell pepper needed to shine. 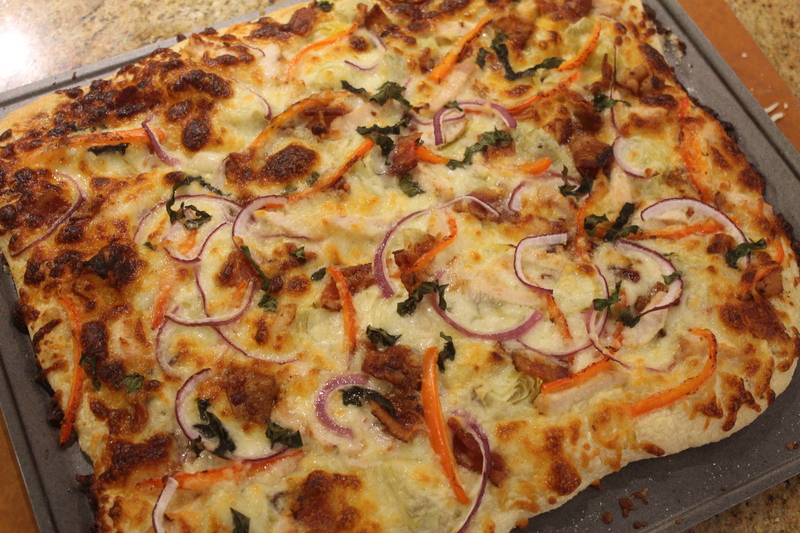 We cut it so that it could lay flat, and quickly roasted it with a kitchen torch, adding another elevated layer of flavor to the pizza. 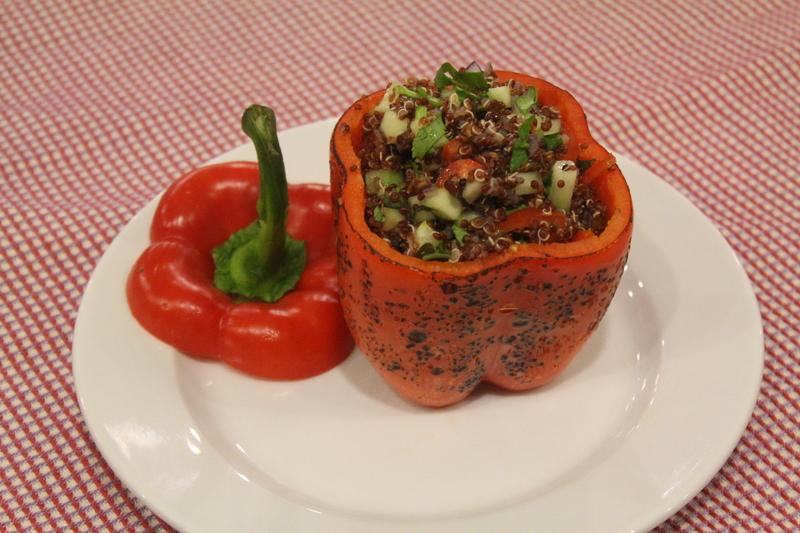 We cut the top off of another red bell pepper before roasting it and using it as a tasty edible vessel for a quinoa salad. Alas, all roads lead back to… crème brulee? 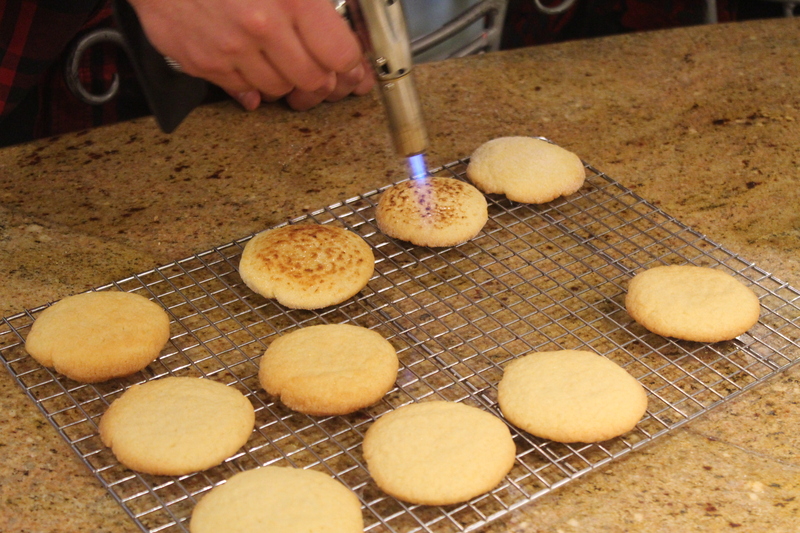 Try skipping the frosting on your next batch of sugar cookies, and go from plain-Jane to a fancy ode to crème brulee. Dip them both before and after baking in a bowl of sugar, then torch the tops just before eating. 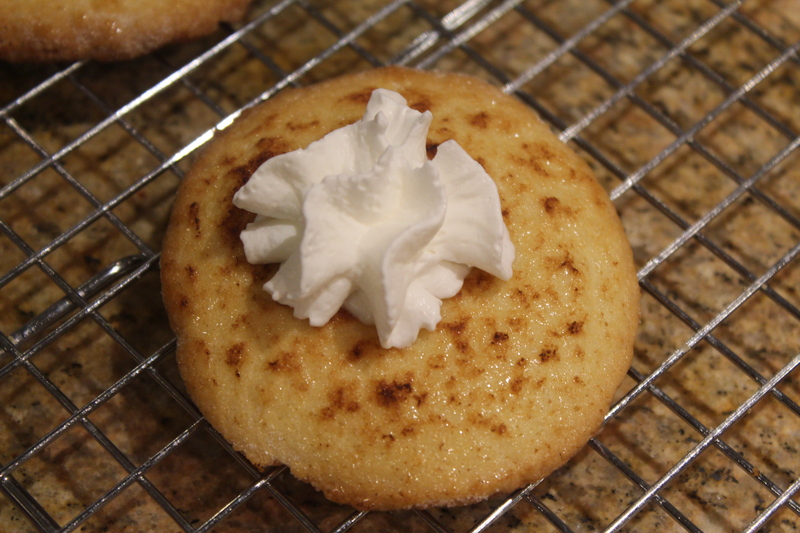 Add a little whipped cream and that cookie just turned into something new and exciting! 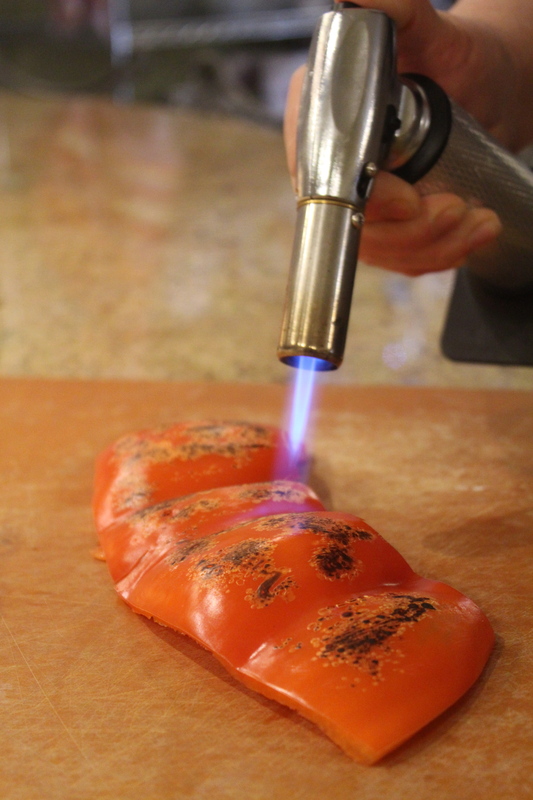 Comment and share photos of your favorite uses for the torch, or another cooking gadget that keeps you having fun in your kitchen! Maybe it seems an impossible task- to put someone in front of Alaska's Largest Tool wall and ask them to choose just one favorite- but that's just what we've done in a new series we're calling: 'Tool Day Tuesday'. 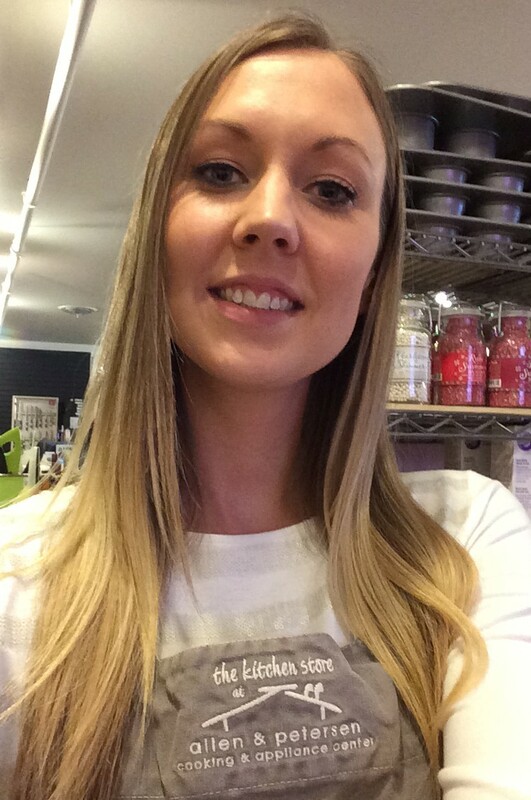 Each week we'll introduce you to one of our lovely kitchen store specialist who will, with their experience and know how, accept the challenge to present the World's Greatest Kitchen Gadget (at least in their eyes) because when it comes to utility in the kitchen, these gals know their stuff! 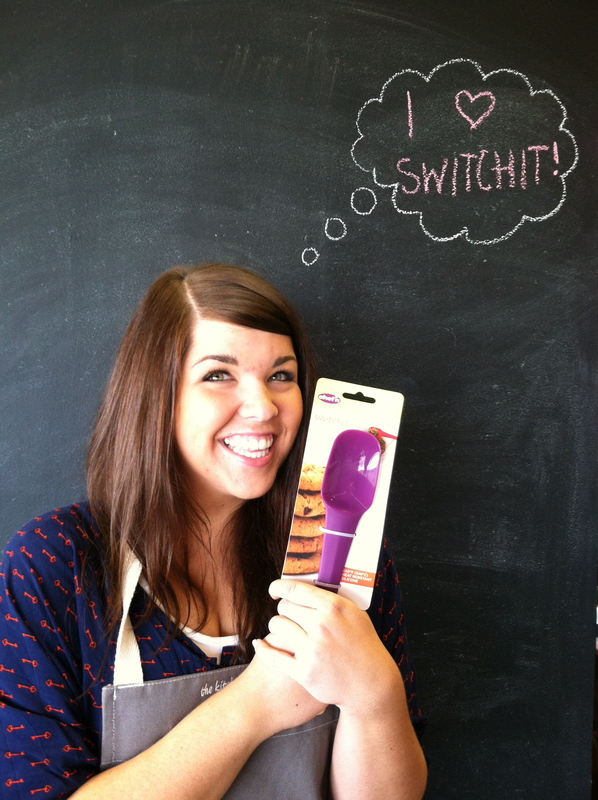 First up, with a love in her heart for Chef'n's Super Tool, the Switchit- allow us to introduce Miss Beth! 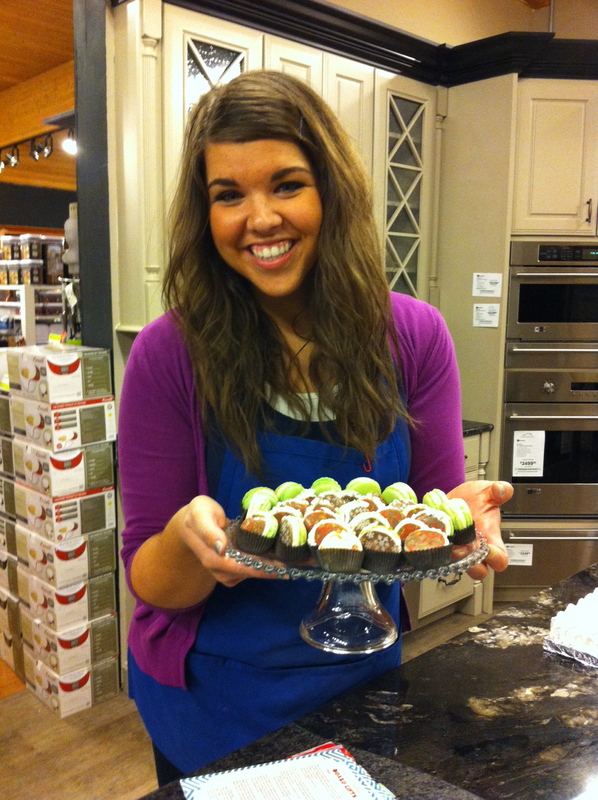 Beth loves to bake. Whether it's cupcakes, cinnamon rolls, cake pops or macarons- if it goes in the oven, she's not only made it- she's mastered it! Trust our taste buds, it's true. 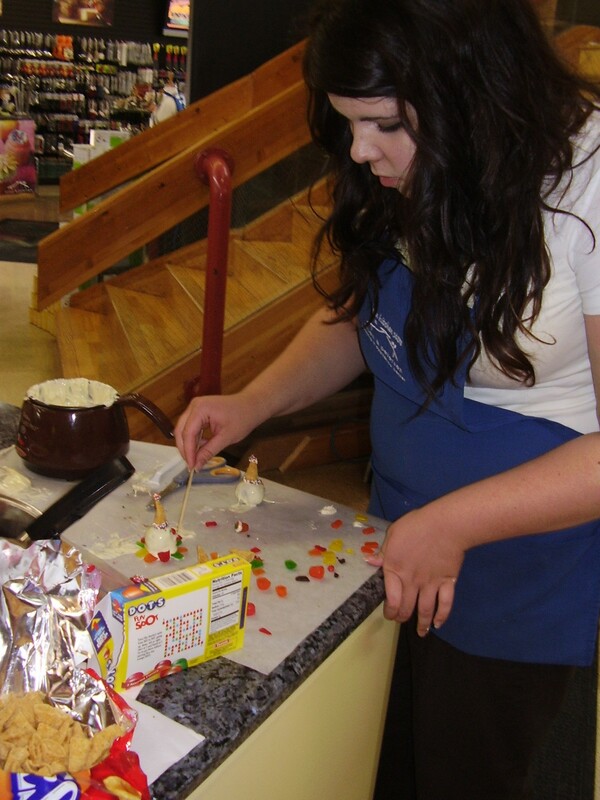 She's the gal we turn to for scrumptious baked goods to fill the store with welcoming scents of sweetness. And where there is baking, there is batter. For Beth the affection begins with how versatile a Switchit can be, and always has been, in the messiest of baking moments. Her expertise spans the evolution of the tool, from it's early design (back when they were translucent or had cut outs so you could see the strong metal core) to it's present sleekness. Any of the many Switchit shapes will work for cookies, cake, batters and doughs. "Being double sided, it can do two things at once- which is handy for goodies like sugar cookies, where the Switchit comes in handy for both the dough and the frosting," notes Beth. Switchits are strong in the middle so they are stiff enough to stand up to the heartiest of doughs, yet flexible enough at either end to scrape every last morsel from the bowl. And because they are made of silicone, the outside is just as tough: durable, dish washer safe and heat resistant up to 650 degrees. It's even safe on non stick cookware, which is a plus for Beth's secret savory side. 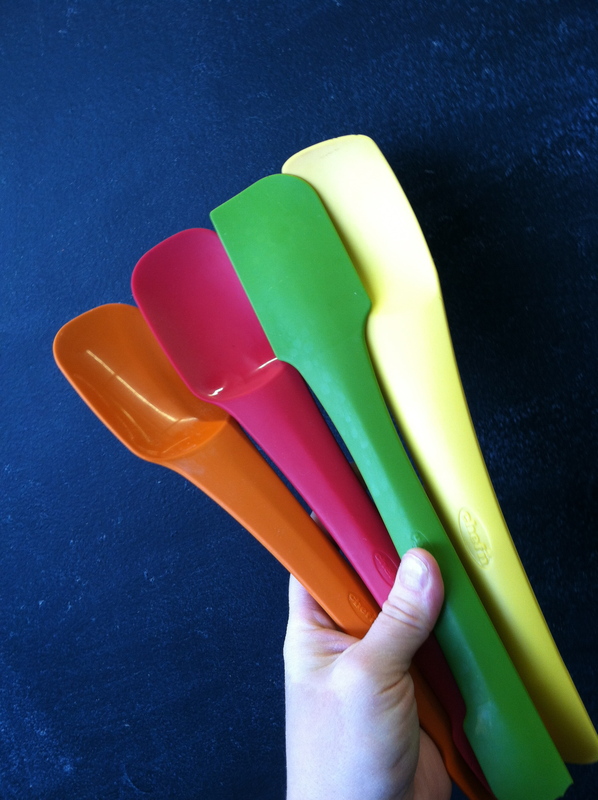 We keep one of each of the Switchit Slim, Spreader and All-Purpose in the test kitchen drawer, but the shape Beth reaches for over any other scraper is the Spoon Spatula. It's an enduring love affair that extends to her own kitchen where a purple Switchit is THE go to tool. That's our Sweet Beth, and that's her cool tool!